18th EAAC Welcome Reception is to be held in Taipei International Convention Center, and this would be an excellent opportunity to network, meet all professionals and acquaintances in actuary field. To highlight the uniqueness and innovation of Taiwan's island culture, we have arranged folk art stands where you can definitely explore the great joys of good old-fashioned Chinese art crafts. Also let the light music and local cuisine smooth your travel exhaustion. After three-day meetings, you will not want to miss Farewell Dinner. 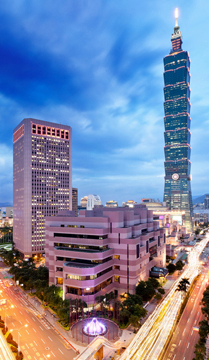 Following Pre-dinner drinks and Closing Ceremony, EAAC Farewell Dinner will take place at Grand Hyatt Taipei. It is just the right place for you to have fun, experience an evening of elegance with superb food, fine wine and exceptional entertainment, not to mention great performances from each country association.